With Paytm looking to get into the insurance game, other payment players would obviously also be gunning for services in this space. 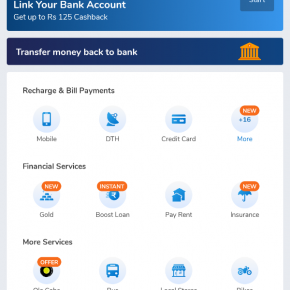 MobiKwik has today announced the launch of its digital insurance services on mobile and web. The company claims it’s targeting a 4x growth in the current financial year. 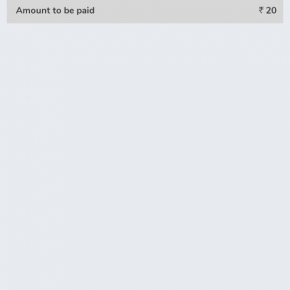 MobiKwik says its ‘sachet-sized products’ make buying insurance extremely easy and quick. 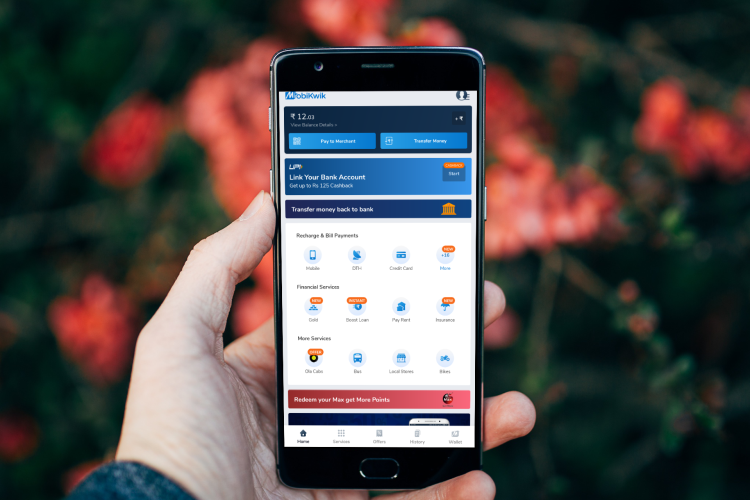 Registered MobiKwik users can buy insurance in less than 10 seconds and a cover of Rs 1 lakh per year can be bought for as low as Rs. 20. 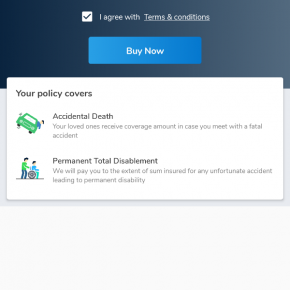 To begin with MobiKwik has rolled out accidental insurance, and will partner with insurance companies to offer more insurance products in the future. The company promises a paperless, 2-step process with instant policy issuance. 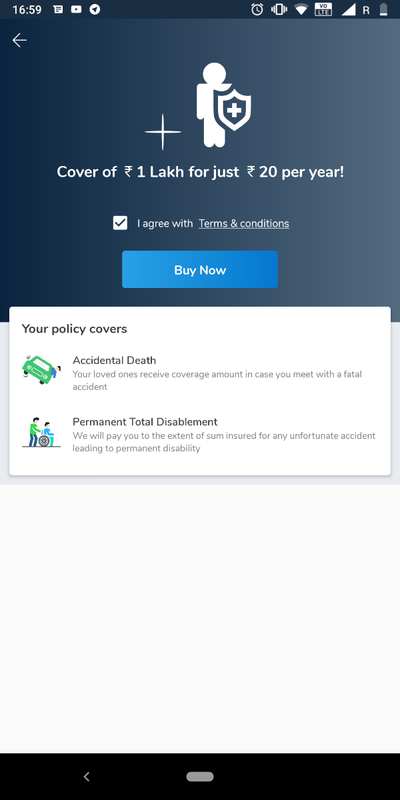 Users can purchase insurance either via the app or the MobiKwik website, though at this time, we cannot see the Insurance option on the website. Here’s what the buying process is on the Android app. 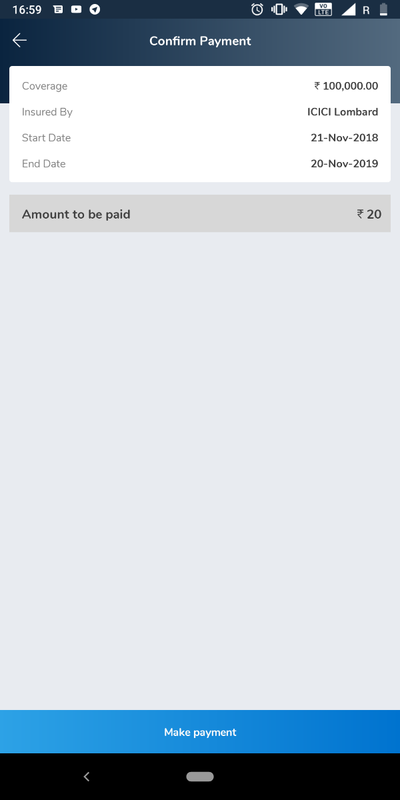 “MobiKwik users will be able to choose and purchase from a range of life insurance and general insurance products. The user will be suggested the right insurance product, selected basis self- profiling of customer, advanced data analytics and artificial intelligence algorithm,” the company’s statement said. Upasana Taku, Co-founder and Director, MobiKwik believes the low penetration of insurance in India gives the company a good chance to breakthrough into this space. Taku said digital insurance to the mass market has been ignored by banks, distributors and even online companies. “We aim to cater to over 150 mn mass and emerging affluent customers through our product range. We are confident of disrupting the insurance market with our product portfolio,” she said. To differentiate themselves from the competition, the company will be co-creating insurance products with a focus on high value coverage at low premium. “We are targeting 1.5 million policies by the end of the current financial year,” Taku added. 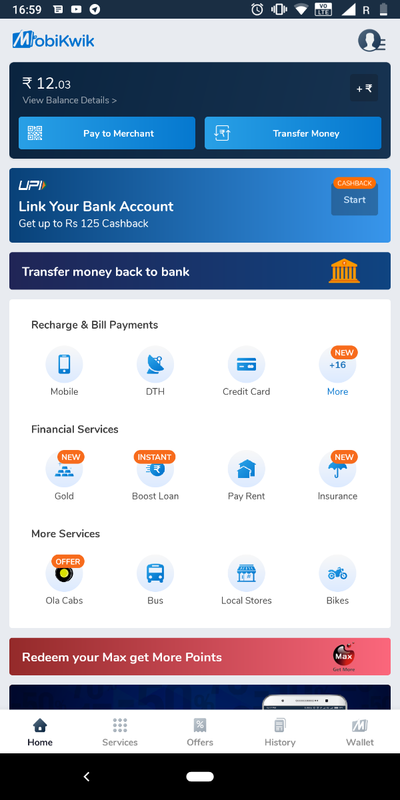 MobiKwik had recently launched the buying and selling of digital gold, in partnership with SafeGold.MobiKwik also declared its entry into the wealth management business with a 100% acquisition of Clearfunds, a leading online wealth management platform.